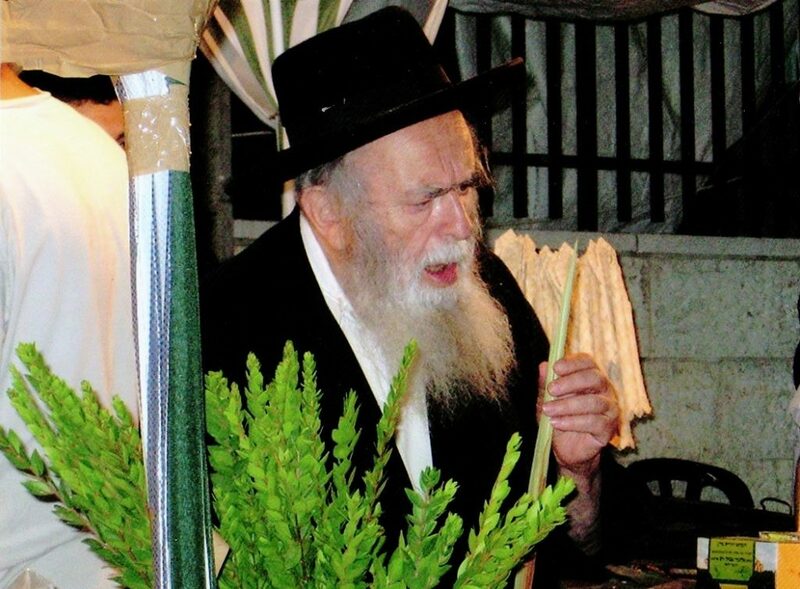 Harav Yisrael Garber, Zt”l, a talmid and nephew of Harav Baruch Ber Lebowitz, Zt”l, of Kamenitz, the Birchas Shmuel, was niftar on Shabbos beseivah tovah. Rav Eliyahu Ben Zion joined together with Harav Avrohom Kalmanowitz, Zt”l, who was the Rav of the neighboring city of Rakov, as they founded a yeshivah in Rakov, and Rav Eliyahu ben Zion urged many bachurim from Horodok to attend yeshivah. Indeed, he would often help support these bachurim while they learned in the yeshivah in Rakov. Rav Yisrael garber often repeated that while he was still a young boy, an old blind man would call out in shul each morning, “Kinderlach, nempt mir aheim — children (someone) please take me home.” Rav Yisrael voluntarily accompanied him home each day, and the man gave him a brachah that he should be zocheh to “lange yahren.” He ascribed his lengthy years to this act of chessed which he did as a child. As the beginning of WWII, Rav Yisrael fled to Vilna, eventually making his way to Vladivostok, a port city from where people traveled to Japan. He did not have proper papers and was worried that the Russian authorities would send him to Siberia or worse. With chasdei Hashem, he was permitted to leave, and joined the Mirrer Yeshiva as they transferred to Shanghai, China. Although he did not know it at the time, his parents, the Horodoker Rov and Rebetzin, were murdered in the Ponary forest in Vilna. During his stay, he developed a close relationship with Harav Yechezkel (Chatzkel) Levenstein, Zt”l, the Mashgiach, and when he received a visa to enter America, he approached Rav Chatzkel for guidance, explaining that he hoped it would be possible to save his parents and family from there. Rav Chatzkel told him that it was too late, and he should forgo the visa and remain with the yeshivah. “On the Mashgiach, one did not ask any questions,” Rav Yisrael would say, and he stayed in Shanghai until the end of the war. During his stay in Shanghai, he spent his time learning with great hasmadah. Once, when he remained in the beis medrash during bein hasedarim to learn, Rav Chatzkel thought that he stayed behind because it was pouring outside, and he did not have an umbrella or galoshes with him. When Rav Chatzkel went to his own apartment and brought him raingear to go home, Rav Yisrael explained that he was not planning on returning to his stanzia but had remained behind to learn a bit extra. Upon hearing this, Rav Chatzkel gave Rav Yisrael a booklet of food ration coupons, which would be a necessary supplement for the meager rations each bachur had. When he arrived in America at the end of the war, his first stop was in Monsey, in the home of Harav Reuven Grozovsky, Zt”l, the son in law of Rav Baruch Ber, who was Rosh Yeshivah of Torah Vodaath and Beis Medrash Elyon. 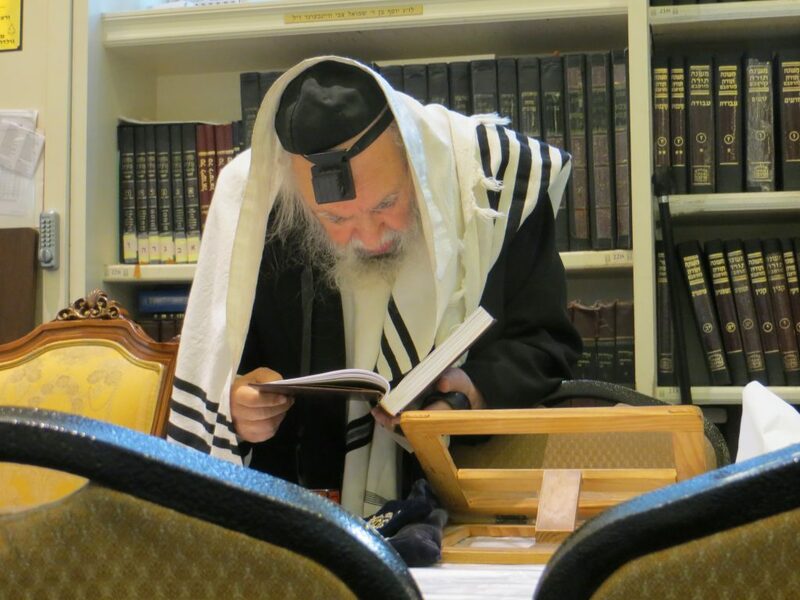 After serving a short while as a Rebbi in Yeshiva Rabbeinu Chaim Berlin, he married his Rebbetzin, Chana Basha, née Spiegel, a daughter of Harav Hatzaddik Rav Moshe Menachem Spiegel of Ostrov-Kalushin. His wife descended from a long line of tzaddikim, including the Chozeh Me’Lublin, the Taz, the Bach, and Harav Shaul Wahl, Zt”l. Together, they raised a family of bnei Torah, and Rav Yisrael was zocheh to see his children, grandchildren and great grandchildren develop in the path of his ancestors. For several decades, Rav Garber was involved in chinuch habanos, as he established the Bais Yaakov of the East Side and Camp TUBBY. Today, those institutions are run by his daughter, Rebbetzin Rachel Kahn (wife of Harav Aharon Kahn of Knesses Bais Avigdor). His daughter Rebbetzin Sara Ziemba together with her husband Harav Moshe Avigdor, lead the Bais Yaakov of 18th Avenue, which Harav Garber had also established and Chein Bais Yaakov in Lakewood which the Ziembas established in memory of Rebetzin Chana Basha Garber, z”l. His son Harav Eliyahu Ben Zion is a noted talmid chacham named after his illustrious zeide. 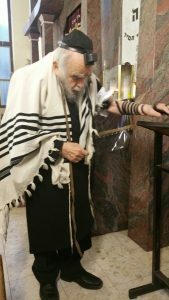 When he moved to Eretz Yisrael nearly 30 years ago, he lived across the street from the yeshivah of Harav Moshe Shmuel Shapiro, Zt”l, and they developed an extremely close relationship. They would often speak in learning, and Rav Moshe Shmuel would listen as Rav Garber related stories of the “heiliger Birchas Shmuel.” Later, he became close to Harav Moshe Sternbuch, shlita, Rosh Av Beis Din, Eidah Hachareidis; and would learn with his son, Harav Usher Sternbuch, shlita, as well. He was treated with enormous respect in Eretz Yisroel and hundreds would come to him for advice and for brochos. Many people would ask him to relate stories of the Birchas Shmuel, and he is the source of many of the well-known stories printed. For many years, he would deliver a shiur of the Birchas Shmuel on his yahrtzeit. 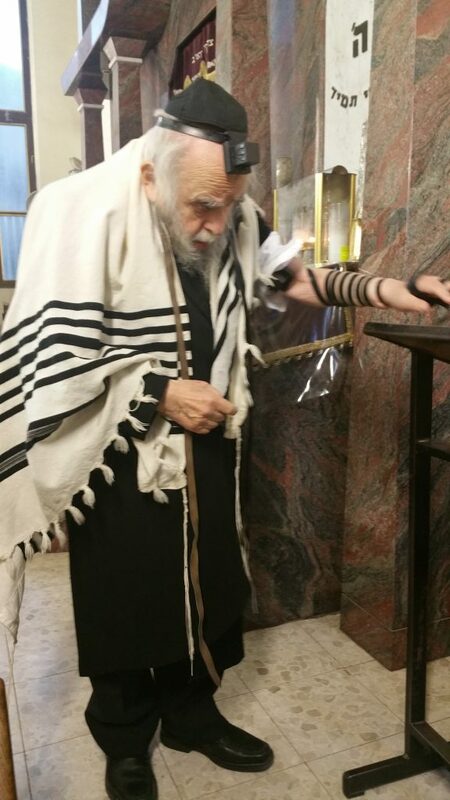 The levayah of Harav Yisrael took place Sunday at noon in the beis medrash of his son-in-law, Rav Aharon Kahn. The aron was brought to Eretz Yisrael, where another levayah will be held in the Gra Shul in Har Nof and at the Kamenitzer Yeshiva, followed by kevurah on Har Hamenuchos.